Inspired by the national pastime of toddlers, Sifteo Cubes are the interactive and tech-enabled evolution of building blocks. 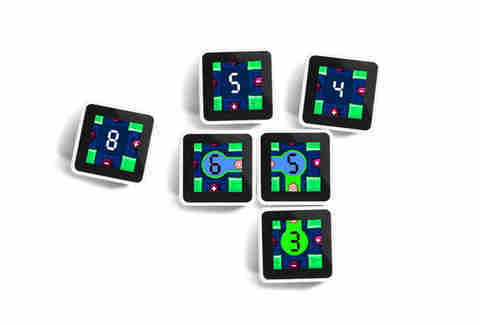 Each portable, pocket-sized unit offers the potential of big fun with full color LCD displays and the capability to connect up to twelve units at a time. 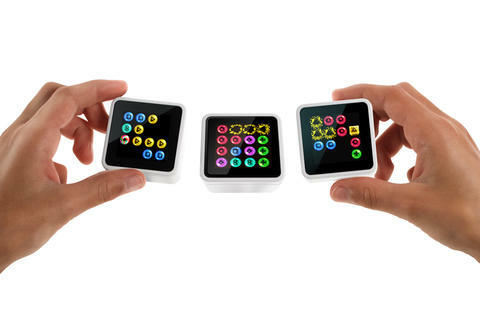 These nifty little cubes communicate wirelessly with their USB base, which you can sync with your computer.